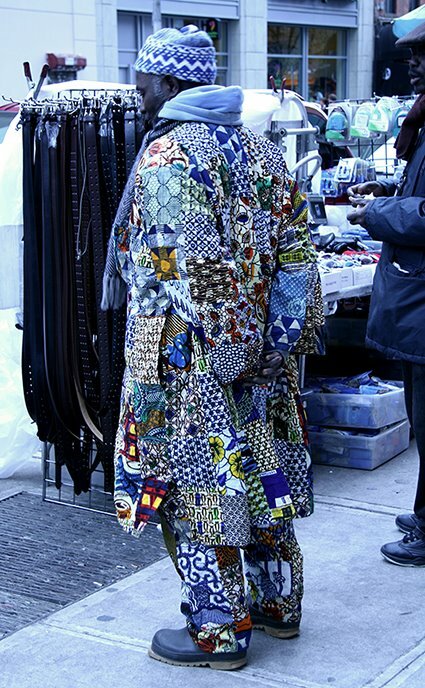 I was really stunned at the colors on this man's patchwork clothing. I spoke with him and learned he was from Senegal - there are many Senegalese street vendors in the city. Realated Postings: Spike, Fashion Forward, Out There, Narcissism Gone Wild.